Country Village is so fun to wander around! It is one of my favorite places in Bothell. When it comes to dining in Bothell, locals have a long list of recommendations: Grazie’s, Hana Sushi, Panera; I recommend Alexa’s for brunch and Jalisco’s or Passion Tequila for Mexican. Also, Beardslee Public House, which is John Howie’s first venture outside of Bellevue. There is a lot to love at the McMenamin’s Anderson School. 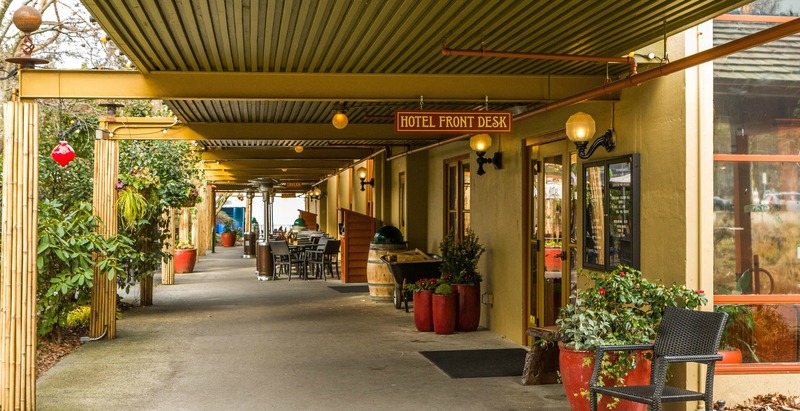 The salt water swimming pool is open air and like a hot spring in the winter; lots of dining options and family friendly pubs, outdoor seating with heaters; there is even a movie theater that serves beer. 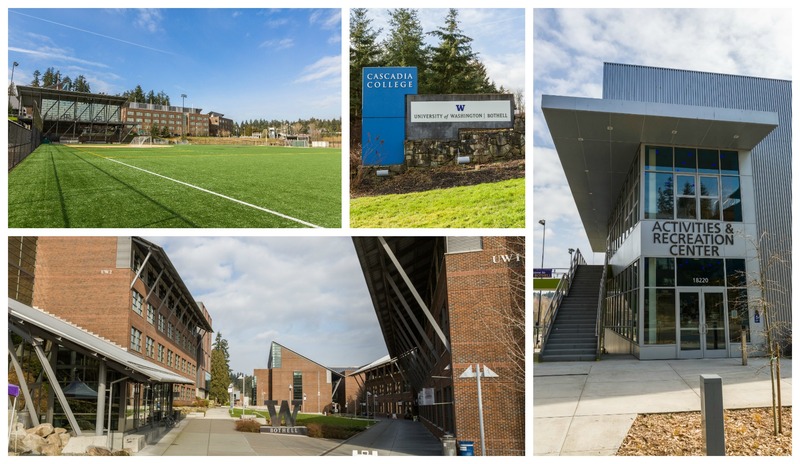 Bothell is also home to a branch of University of Washington as well as Cascadia Community College. There are good schools and college options literally in your backyard! Bothell residents commute mainly by car, but you can bike into Seattle on the Burke Gilman and to Redmond on the Sammamish River Trail from downtown. The rest of the North Creek Trail is being built, which will meet up from Mill Creek to the Burke Gilman, so biking may become even more popular! If you are wondering what types of homes you can expect to find in Bothell, there are a lot of options, from new construction to older homes with lots of land. You can find entry level townhomes, $1M+ homes, homes by national and local builders, split levels, ramblers, and big lots, too.